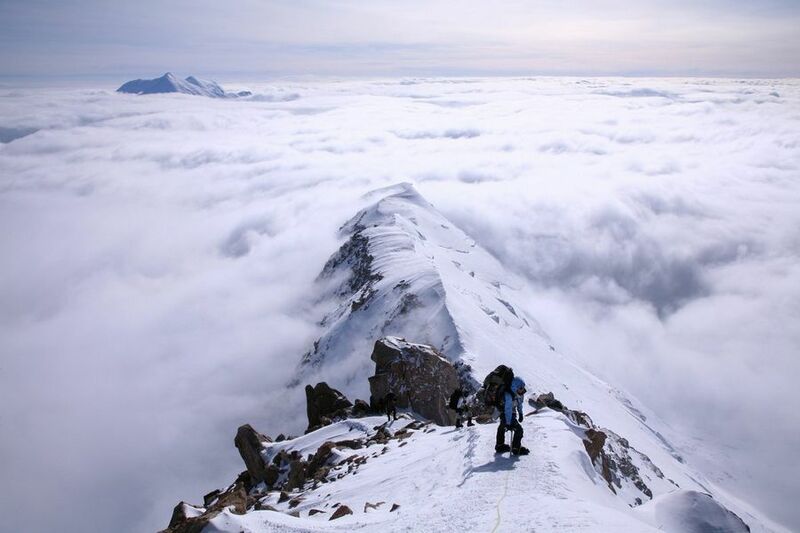 Mountaineering team ascending the West Buttress ridge of Denali, Alaska. The team is just above Washburns Thumb, at 16,800 ft elevation. Mount Foraker is seen in the distance. Photo © copyright by Johnathan Ampersand Esper.